There are 11 reviews of CH Men Sport. This scent reminds me of Marc Jacobs for Men, which I absolutely love. Glad I found another alternative for it. The notes give it a "coconut" scent without smelling like suntan lotion, which I like. Good fragrance for spring/summer! First 10 minutes CH Men smells very crisp and spicy, to me it's not "fresh" or "sport" at all. It has a very unnatural, synthetic feeling, giving me a bit headache especially in sprint, summer temperatures. For winter it can be a better choice, but one who thinks this might be similar to 212 Men in any way should reconsider. It's not a safe scent to blind buy and it doesn't feel good at all. A certain thumbs down. I think I might be the only one picking up a coconut kind of a vibe in this fragrance. This is actually really good. To me it's far from generic or bland, I think when you automatically attach the name "Sport" on a fragrance it kind of already gives the perception of blandness, but i'm glad I gave this one a chance and took the public opinion with a grain of salt, it really grew up me. One thing I do agree is that the name "Sport" can be misleading, this is got a very nice coconut, vetiver and woody vibe that is very versatile. And surprisingly for a "Sport" fragrance the performance is quite good. Another hit for me in the CH Line, very impressed! What a complete disappointment,i was expecting something totally different since is supposed to be a sporty fragrance with aquatic notes and sweetness to it but boy what a slap i got. This is basically pepper in a bottle and not in a good way if i wore this with my girl she will not stop sneezing from how prominent the pepper is. I love 212 and Herrera for men but this is not for me. Picked this up dirt cheap and while not totally original, overall a pleasing summer time frag. *Shrugs* gets a shaky thumbs up by me. This drys down to something very similar to Terre D'Hermes. Very dry vetiver with pepper. Surprising to see how this bombed given the success TD'H and this predates it. There are no member images of CH Men Sport yet. Why not be the first? 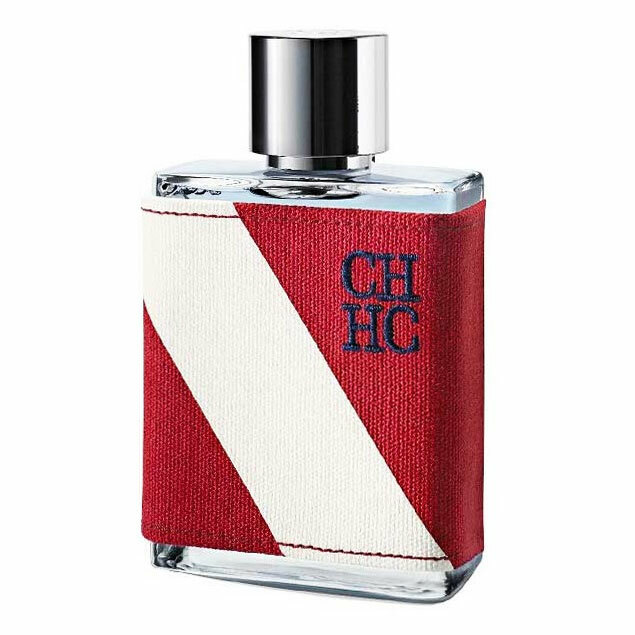 What's Carolina Herrera CH Men SPORT like?